Join us in working toward a vibrant and truly pluralistic America. Donate now! creates opportunities for meaningful dialogue on timely and often-divisive topics. Your generous donation helps ISPU solve the challenges of today while paving the way for a better tomorrow. Your regular gift allows us to plan for more ambitious projects, maximizing our nationwide impact. Giving monthly makes the donation process easy and convenient for you. An automatic withdrawal from your account takes the hassle out of writing checks. ISPU will send you a tax receipt every year detailing your giving history. We provide our family of supporters with a number of special benefits. A sustainer gives a regular monthly donation to ISPU. You can give at any level, designing your gift to fit your budget. A groundbreaker gives between $1,000 and $4,999 each year. A trailblazer gives above $5,000 each year. At ISPU, we are constantly looking for opportunities to meet new people who will invest in our work. We would love to bring ISPU’s trailblazing research to your community, and as a champion, you can help us do just that. A champion offers their time and expertise to help amplify ISPU’s research and make connections with people interested in investing in ISPU’s work. When you host an ISPU fundraising event in your area, you will be a key part of creating lasting, nationwide impact. Whether it’s in your home, university, or place of worship, your event will be the link that connects your community to groundbreaking research and helps ensure that ISPU can continue its vital work. Please contact Amal Beydoun at abeydoun@ispu.org for more information. For more information about any of these ways to give, contact Amal Beydoun at (313) 436-0523 or abeydoun@ispu.org. Your questions and interest are always welcome! Donating stock is a great way to donate to ISPU. And a gift of stock or other securities may allow you to reduce capital gains taxes and receive an income tax deduction. Please contact our development department at (313) 436-0523 or info@ispu.org for our brokerage account details. Double the impact of your gift to ISPU – Inquire if your employer has a matching gift program, donating a sum equal to whatever you raise or donate. This is a great way to leverage your donation and potentially introduce others to ISPU’s work. Do you have a donor advised fund (DAF)? That is, a charitable giving mechanism that allows you to combine the most favorable tax benefits with the flexibility to support your favorite causes. If so, consider ISPU as a potential fund recipient. DAF Direct enables you to recommend gifts, either one time or sustaining, to ISPU directly from your donor advised fund. Click here for more information. Through a planned gift, you have the opportunity to increase your gift substantially and expand the impact it can make. A planned gift can be made during your lifetime or through an estate plan. With thoughtful planning, you can create win-win solutions for you and ISPU. Check with your financial adviser to find out the many options you have for making a planned gift. Naming ISPU as the owner and beneficiary of your life insurance policy may result in a tax deduction; if premiums are still due, your future payments may also be deductible. Go to the Amazon Smile website—smile.amazon.com—and sign in with your Amazon account details. Enter Institute for Social Policy and Understanding in the search bar. Click “Search”—and then when you see our name come up, click the yellow “Select.” That’s it! Now, every time you shop on Amazon, remember to shop through smile.amazon.com. Volunteers are an integral and respected part of our team. To volunteer, check out our available listings or contact us. We are always interested in discussing ways talented and interested parties can help us accomplish our mission. Corporate Sponsorship provides an exciting avenue for your company to become involved with ISPU and provides visibility with a diverse and wide-ranging audience. 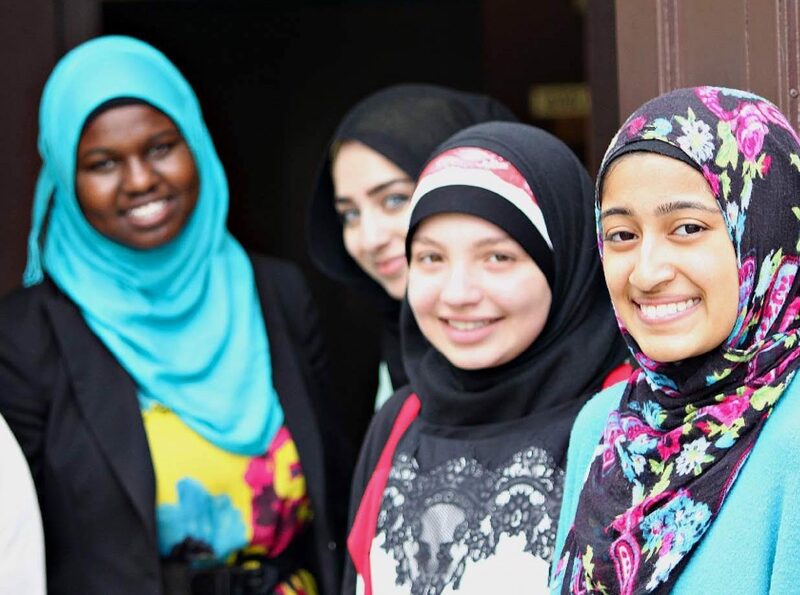 Your sponsorship will support ISPU’s mission to empower American Muslims to contribute, develop and innovate. Please contact us to learn more. Offer a donation to ISPU for every product purchased through your company: Attract customers to your brand by letting them know that you will donate, for example, a percentage of every unit sold in support of ISPU’s groundbreaking work.